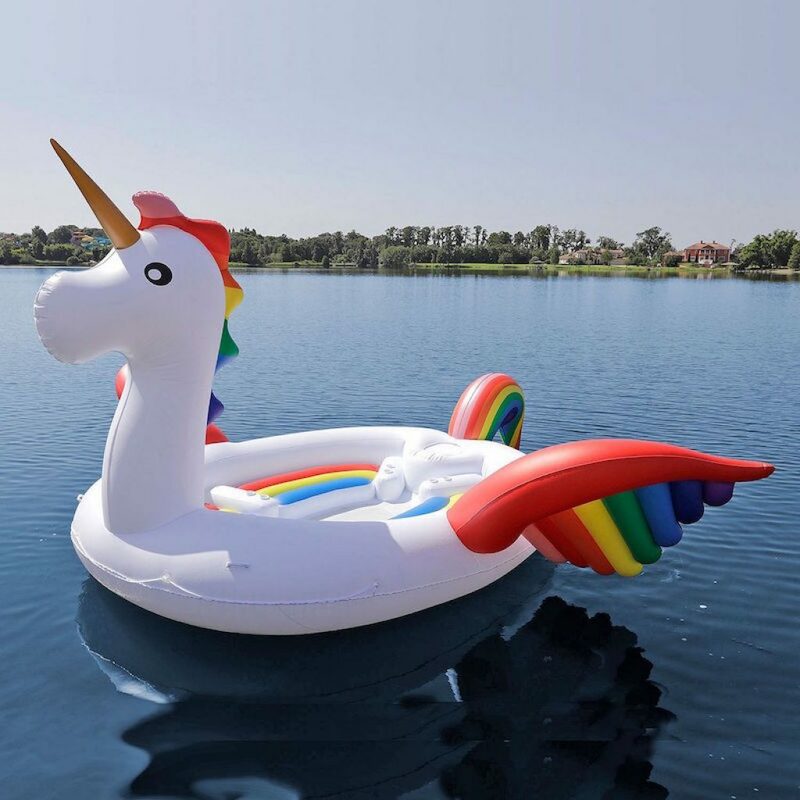 When you’re tired of your average pool floats and you want something more fabulous to float on with a drink and perhaps a couple of friends this floating unicorn party island is the thing you’ve been waiting on. This giant unicorn (actually it’s a pegacorn because of its wings and all) has comfortable seating for up to six adults and provides cup holders so you won’t spill your drink(s). If unicorns aren’t your thing you can also get this floating raft in peacock or bright pink flamingo form. One word of advice; this floating unicorn is very comfortable so don’t fall asleep and wake back up at a deserted island. 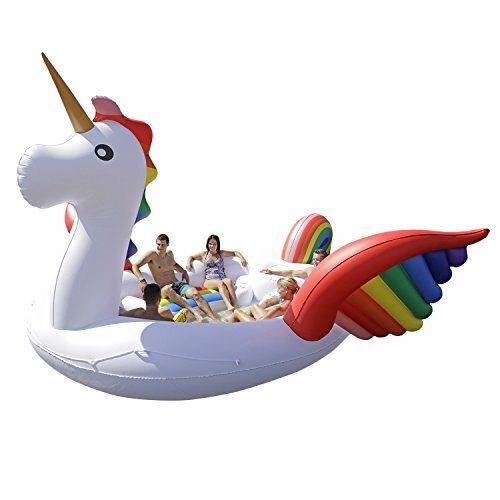 10' FOOT TALL GIANT COLORFUL RAINBOW PARTY BIRD FLOATING ISLAND UNICORN POOL FLOAT- Relive your childhood dream of riding a rainbow unicorn with this inflatable unicorn float! This unicorn float has a white body accented with vibrant rainbow colored mane, wings, and tail, creating an attractive piece that can be seen even from afar. Adults and kids alike will love using this striking giant unicorn float island.